HRS ON HEALTHCARE HRO | HRS Consulting, Inc.
We established our company more than a decade ago with the charter to bring High Reliability Organization behaviors and practices to Healthcare. HRS, embedded in our name, stands for High Reliability Solutions. We have experience in more than 700 healthcare institutions, with a focus on higher risk services that have a significant need for HRO practices. Our experience includes training and working with Boards, Executives, Physicians, Nurses and Ancillary Staff. We have provided HRO services for Hospitals, ASCs, LTACs and others. Functional areas include Surgical Services, Cardiology, Radiology, Emergency Department, Critical Care, OBGYN, and more. 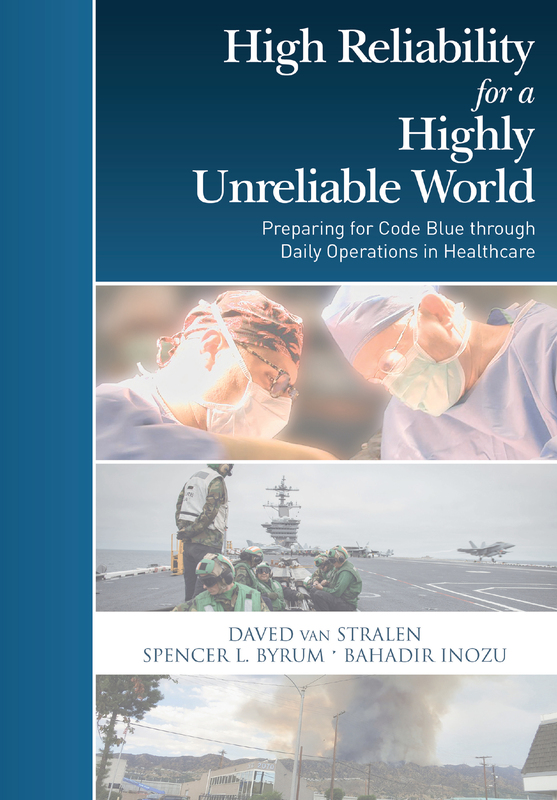 Much of our knowledge and experience is captured in the book, High Reliability for a Highly Unreliable World – Preparing for Code Blue through Daily Operations in Healthcare, coauthored by our company cofounder, Spence Byrum. The book effectively discusses the working fundamentals of HRO culture to provide a more comprehensive, yet enlightening view into the details of how HROs work and how their principles can be applied. Karl E. Weick, who is credited with developing the term High Reliability Organization (HRO) and its essential properties, noted about this book, “Those elaborations are on full display in this encyclopedic volume”.